May has been a strange month with the weather pretending it was April, sunshine, showers and very windy. 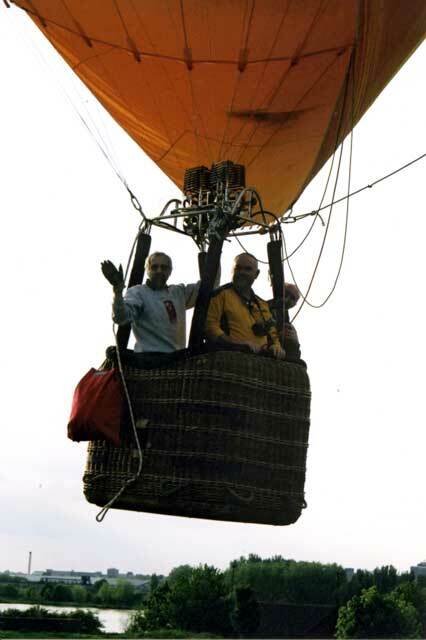 Very little ballooning took place in the first three weeks but then things brightened up and we had several flyable days. We seemed to spend every spare moment in the garden and we began to develop our ideas into physical changes all of which required hard labour. 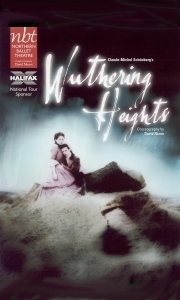 Jane went to see the Northern Ballet perform Wuthering Heights. This is her favourite ballet company and she wasn't disappointed. Cathy and Heathcliff are inseparable, running wild and free upon the moors. As they grow up their affection deepens into a passionate love, but Cathy chooses the riches and luxury that Edgar Linton can provide over her heart. Heathcliff flees broken hearted only to return later transformed into a wealthy gentleman. Cathy finally realises the love she has for Heathcliff is too formidable a force to resist - one that even death cannot destroy. We spent nearly a whole day emptying the wormery. 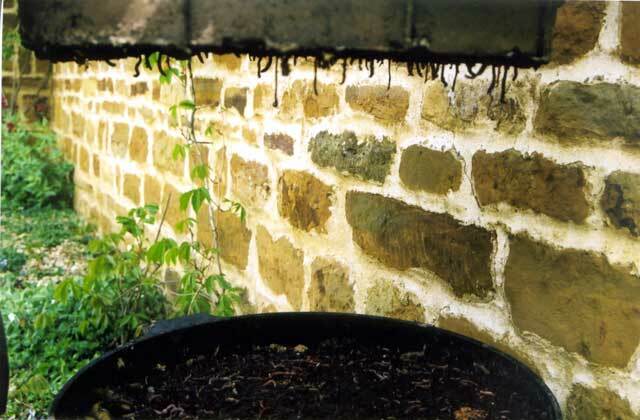 Extracting the good soil made by the worms and replacing them into another layer. For someone who does not like worms this is really a labour of love but the soil they create is very high quality and plants grow well on it. With the final stone laid on the medieval wall feature it was now time to start the pond and so we dug down into the grass, rubble and clay to excavate a hole big enough to become home for frogs, newts and any other pond life which may enjoy the location. Water will be pumped up through an old hand pump to trickle down a rill back into the main pond. With areas for water marginal plants we hope to attract dragonflies and damselflies. The sound of running water will make the decking area somewhere to sit and relax at any time of year. 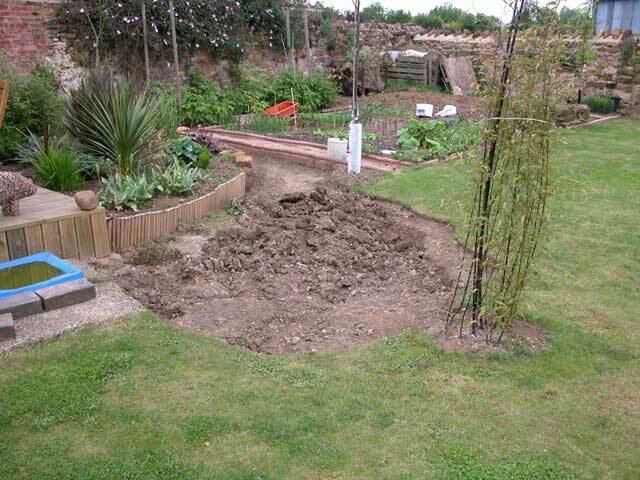 When digging the hole for the pond it was inevitable that we had to lose some of the good soil and the best way of doing this was to create a rockery. 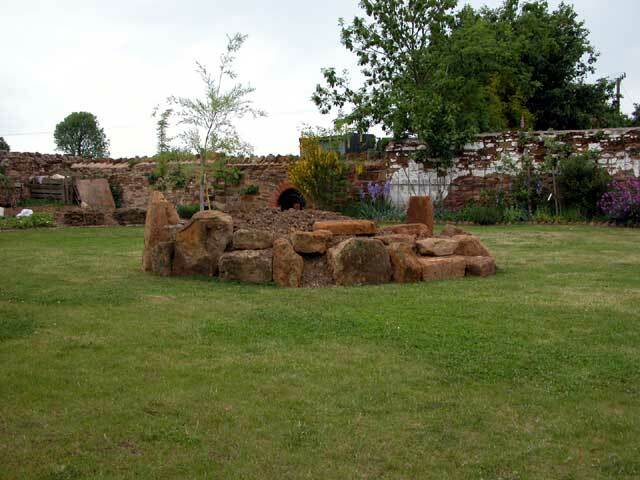 The intention is to make it appear as much as possible like a natural outcrop of sandstone in the middle of the grass. The problem is that there is excess soil from the pond and we do not wish to have an Everest in the lawn even if this month sees the fiftieth anniversary of the conquering of the mountain. May was not a good month for flying until things brightened a little in the last week and Steve managed to fly Alan, who Jane used to work with at her old job, and his father. It was an unusual flight because there was a very dark cloud hanging overhead and this had an updraft which caused some instability. Nevertheless it was a good flight with an easy landing in a field alongside the road, an open gate and the crew waiting as they landed. The garden is becoming more mature as every season passes and it is useful to maintain an eye on the progress we have made over the past five years. Stitching together a number of images to create this panorama gives an idea of what has been going on in all areas. The wheelbarrow on the left indicates work in progress and the area between the corner barn and the house shows where our focus will fall once the pond, rockery and greenhouse have been completed.